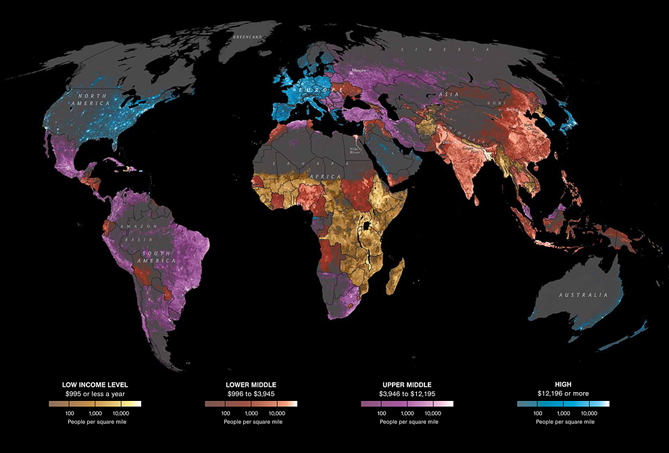 This National Geographic map illustrates where and how the world lives. Not surprisingly, the areas with the highest income levels have greater life expectancy (77 for males, 83 for females compared to 58 and 60 in low income levels), access to improved sanitation (99 percent compared to 35 percent), among other human security factors. The need for development is critical in sub-Saharan Africa, where nearly 1 billion people live, many on $995 or less a year. 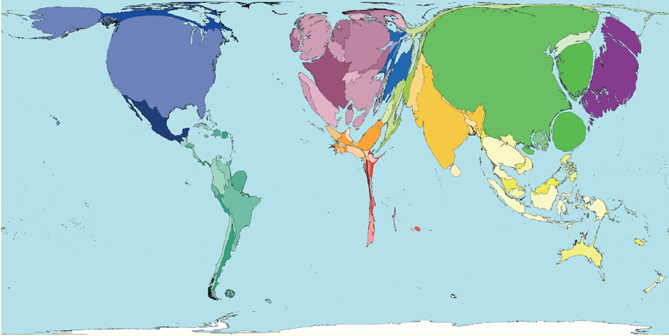 Using data from the World Bank Development Indicators, this map from Global Finance shows us what the world will look like in 2015 if it were inflated to the size of their economic wealth. Once again, the need to spur growth in Africa is not just evident, but necessary. 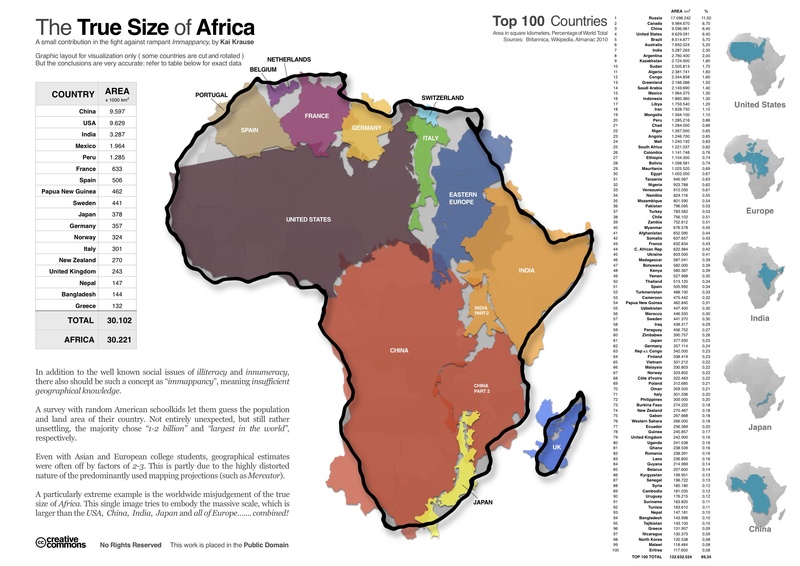 We know the African continent is pretty big. But how big? The infographic above, created by Kai Krause uses some of the largest countries in the world and all of Eastern Europe as puzzle pieces within the grand continent of Africa. To quote Rajiv Narayan from Upworthy, "Sure 12 Years a Slave won an Oscar, but we all deserve to win Best Actor for pretending slavery doesn't exist anymore." The map above, issued by the Walk Free Foundation stains the world map with reds representing concentrated slavery presence and lighter yellows for lower concentrations. The index considers estimated prevalence of modern slavery by population, child marriage, and human trafficking in and out of a country. When we say we have a global water crisis, we mean it. 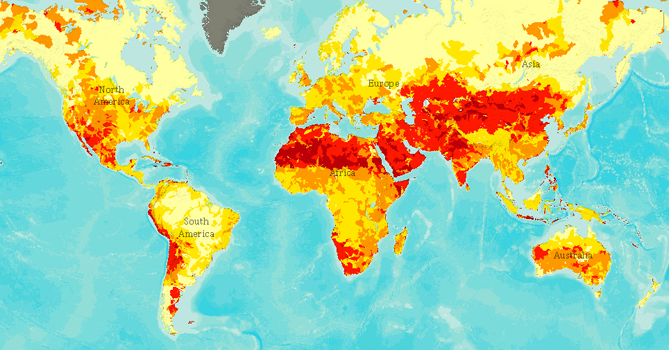 The World Resource Institute use a mapping tool called Aqueduct to help companies, investors, governments, and the public understand the global water stress and risks. Notice the similarities with the previous map now? You should. 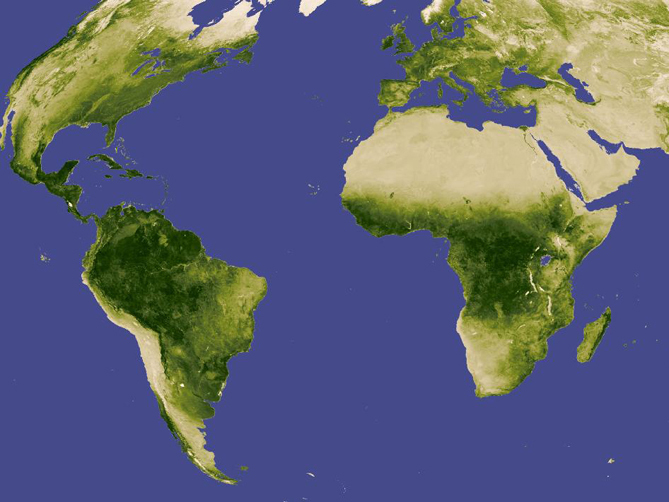 While there is opportunity for agriculture in sub-Saharan Africa, Northern Africa and parts of Southern Africa face high risk of water scarcity. 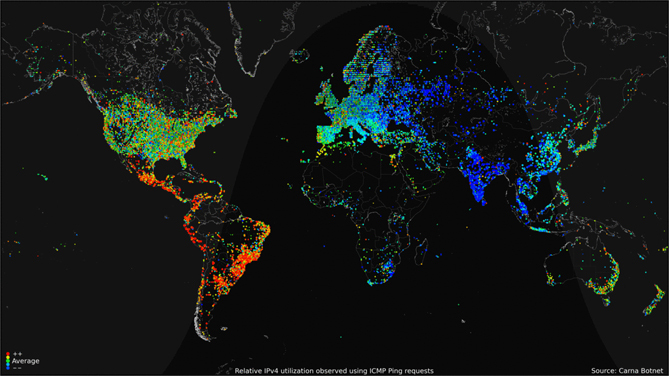 On a continent where only 7 percent of its inhabitants are online, this map is an eye-opening illustration of the digital divide. With the internet comes improved access to information, communication and ideas -- and organizations need to make sure to bridge the gap. The good news is that Africa's telecommunications market is one of the fastest growing in the world. Last but not least, this snapshot of the world at night, stitched together with photos from NASA, contrasts with the little access to electricity in Africa compared to the global north. 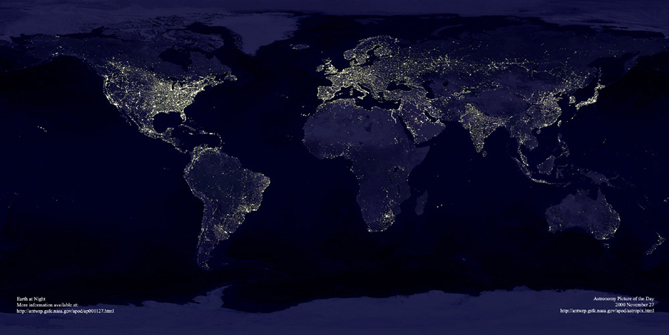 Energy poverty translates to poor health care, stifled economic growth, toxic fumes, limited or no education, and lack of safety. This post first appeared on ONE, where Vicky Ramirez is digital media intern.